I was recently asked if there’s any room in the financial advice industry for innovation at the product level. Specifically, what do I think will be the biggest changes over the next decade in retirement plans and the fund industry? This is a great question. The “innovation” that comes out of Wall Street mainly consists of packaging complexity in a way that plays off of the latest investment fads. It’s a great way to sell products and get investors excited, but most of the time it’s just another way for the retail investor to get taken advantage of and pile in at the wrong time. It’s purpose is to categorize mutual funds broadly by company size and investment style, but of course most of the financial advice community took it a step too far. Many consultants and financial advisors loved this framework because it was a perfect way to check every single box and show their clients that they were doing something while selling more funds than necessary. Most investors don’t realize that hitting every single spot on the Style Box can lead to over-diversification and portfolio redundancies, but it makes for a nice narrative. The active mutual fund groups have completely missed the boat on indexing and ETF products and have seen their share of assets fall as Vanguard, iShares and Charles Schwab have seized control of the industry. Vanguard has an established reputation and trillions of dollars in assets. The competition can’t just sit around and allow them to continue their dominance. Former leaders such as Fidelity and American Funds have seen their market share decline on a consistent basis and this trend has only accelerated since the market bottomed in 2009. They need a new strategy as the era of the star mutual fund stock picker is over. The academic literature on factor investing is fairly extensive at this point: value, momentum, yield and quality all have the back-tested data over multi-decade periods. Every one of these strategies has been shown to have cyclical bouts of underperformance, but over the long-term each factor has a strong track record along with solid reasoning behind the historical performance. Instead of a focus exclusively on value, growth and core approaches, I think we could see a push into diversification based on exposure to different factor weightings. The fact that these strategies can all be implemented in a rules-based, quantitative approach bodes well for future growth prospects because it’s a much easier process to explain to younger, tech-savvy investors that are wary of the old-school Wall Street ways based on the intuition of portfolio managers. 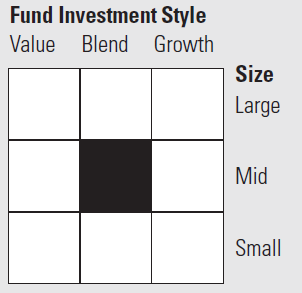 Obviously, the current Morningstar Style Box contains elements of each factor, but there are now smart beta funds that can heavily tilt their exposure to really hone in on each factor with much more precision. Dimensional Fund Advisors (DFA) has been doing this for a number of years now as most of their funds are tilted towards small cap and value stocks. Of course, there is no free lunch when investing. Factor strategies can have increased risks for those investors that don’t understand how they function. But I think the narrative is there for those fund companies that decide to go all-in on factor investing and show how they can complement each other in those periods of weak performance. Financial advisors and retirement plan sponsors are always looking for an edge to increase share and gather assets. Eventually there will be a large current player or enterprising start-up firm that figures out how to package each of these factors in a way that allows investors to create an entire diversified stock portfolio of comprised of individual factors at a low cost within their IRA or 401(k) plan (there are a number of firms that already invest this way but it still hasn’t hit the masses quite yet). I’m not saying this is necessarily how I think everyone should invest. I think factor investing can have a place in investor portfolios for those that have the correct perspective and understanding of how it works. Yet not everyone has the required patience or risk tolerance for this type of investing style. However, I do think it would be a welcome addition to the current mishmash of fund line-ups that are available in the majority of workplace retirement plans. I think this is where we could be heading over the next decade in the fund management space. I’d love to hear about any other trends people think could be coming in the future. *Number two on my list of possibilities would be all-ETF portfolios in 401(k) plans (inevitable at some point) while number three would be robo-advisors finding their way into 401(k) plans and offering an all-in-one solution for employee defined contribution plans. Well said, and I think the approach makes tons of sense. All it would take is for a Morningstar to shift to this model, gorilla’s like Yahoo! Finance would then adopt, and then the rest of the industry shifts the way it positions investments. It’s possible for sure. What about a new entrant like Betterment using this as a competitive differentiator, then others such as Wealthfront respond with similar — or better yet they all meet up in the legacy standards-body like way and do it together. Again, I like the approach and it makes a lot more sense for me as a retail investor and operator of a brokerage! Thanks. I really think this would be a welcome change and some fund company will figure it out. Smart beta funds are just the start. Ben, is it really accurate to call yield a factor? From Larry Swedroe’s writings, I understood that stock dividends have no explanatory power – that a dividend strategy at times gives you access to value and dividend growth to the quality and profitability factors. Ok, looks interesting. Thanks. Perhaps a little different meaning of the word factor. Since reading up on factor investing I’m all in and I’m looking at using the iShares ETF using the MSCI ACWI Diversified Multi-Factor Index as my main investment vehicle. However the ETFs launched this spring by iShares to follow MSCI’s new multi-factor indices seems to be not very popular at all. Either it’s the cost, 32 basis points over Vanguard’s total global stock market ETF, or it might be that the product is too complex. Maybe it’s too costly for large investors and too complex for small. There doesn’t seem to be that many multifactor ETFs around and those that exists are small – I’m getting the impression most of the smart beta money are in single factor funds – and value small caps. Definitelt an interesting vehicle. Factor investing has shown to be a great way to boost returns historically but it’s always worth remembering that there will always be tracking error and periods of relative unerperformance.